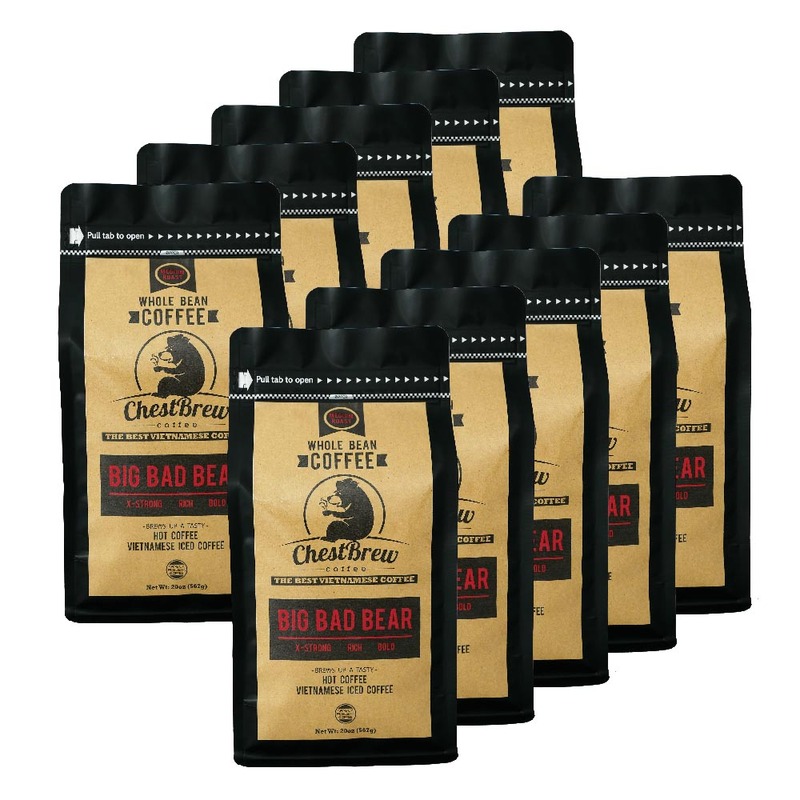 Wake up your inner Big Bad Bear and go hard all day with your new favorite extra strong coffee. Savor a wildly strong caffeine content that’s smoother than any other coffee out there. Our premium beans are expertly harvested and roasted to give you a bold and full-bodied brew that you’ll be hunting down morning, day and night. Take your coffee experience to untouched territory with the only single origin premium coffee beans from Vietnam. Crafted to be the BEST BEANS for Vietnamese Iced Coffee or Hot Brew. Our single origin Medium Roast Beans that are wildly caffeinated and delicious. Make mornings great again with the wildly delicious taste and aroma of a coffee that’s stronger and smoother than any other out there. Not to mention that our caffeine content game is EXTRA STRONG because these beans were grown and roasted in Vietnam, the birthplace of ridiculously strong coffee. So if you’re not down with weak and pretentious coffee, brew up a pot at work or home to save time, money and stress.